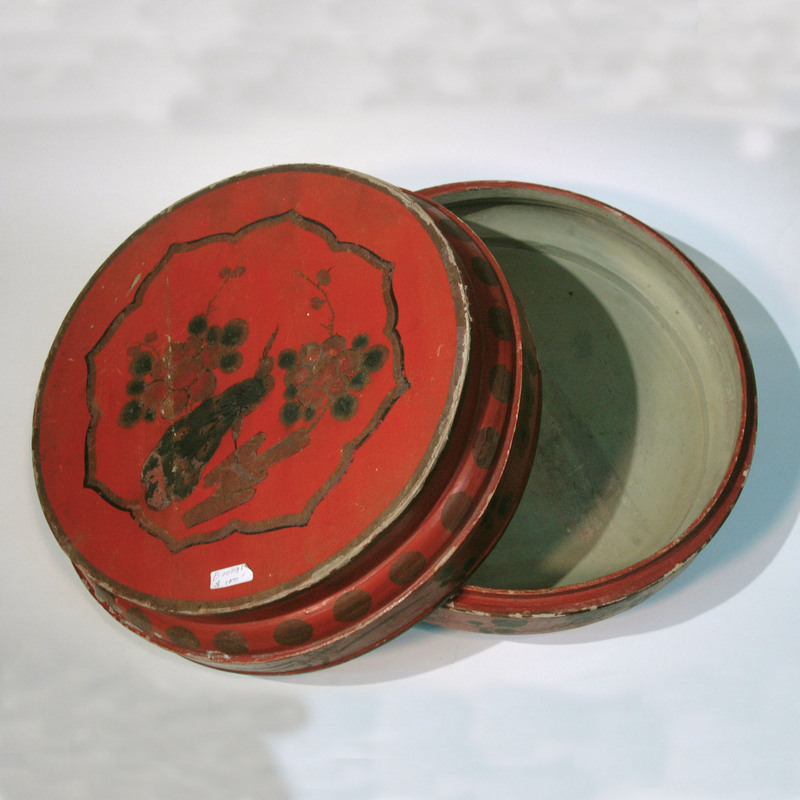 Before the invention of the disposable paper gift boxes and wraps, there were these lacquer boxes for transporting and presenting gifts. This particular one is for cakes and confectionery gift. After the gift is received, the boxes will be returned to the sender. A red packet will be placed inside the boxes as a thank you gesture to the giver, they should never be returned empty. For bigger celebrations like wedding, the bride’s family will send out boxes of the bridal cake for friends and family as an announcement of the wedding. The boxes will be rented out from the cake shop, though the wealthy family would have custom made the lacquer boxes for these occasion. Nowadays the custom is replaced by a cake gift voucher … I must say I would be much happier to receive the gift from a beautiful box like one then a paper voucher, I think it will make the cake taste better and share more of the joy of the happy couple.